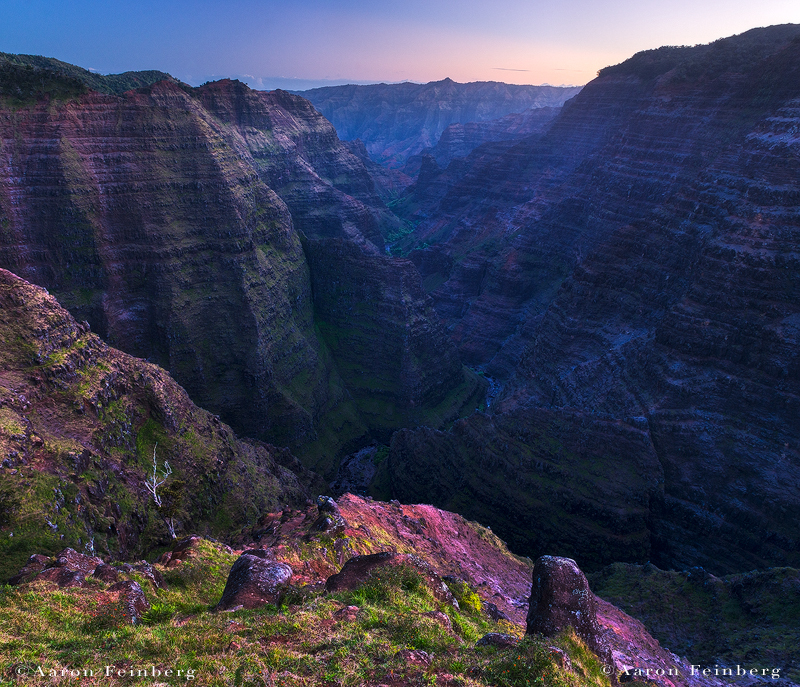 Having the opportunity to visit this incredible viewpoint deep within Koke'e State Park up in Waimea Canyon never disappoints. Since the first time I was shown this place it has been an island favorite. On this particular evening, while the clouds were absent for any crazy sunset light, the twilight glow was spectacular and the camera was able to pick up the subtle blues and purples that were really accentuating the peaceful experience that was this magnificent place.